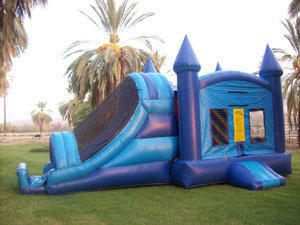 Add some color and excitement to any party with a combination Bounce and Slide. They have a full size bouncing area with a climb up to the slide. This Bounce has an inflatable step.